Home | Reports | How councils work: an improvement series for councillors and officers - Managing performance: are you getting it right? Report: How councils work: an improvement series for councillors and officers - Managing performance: are you getting it right? 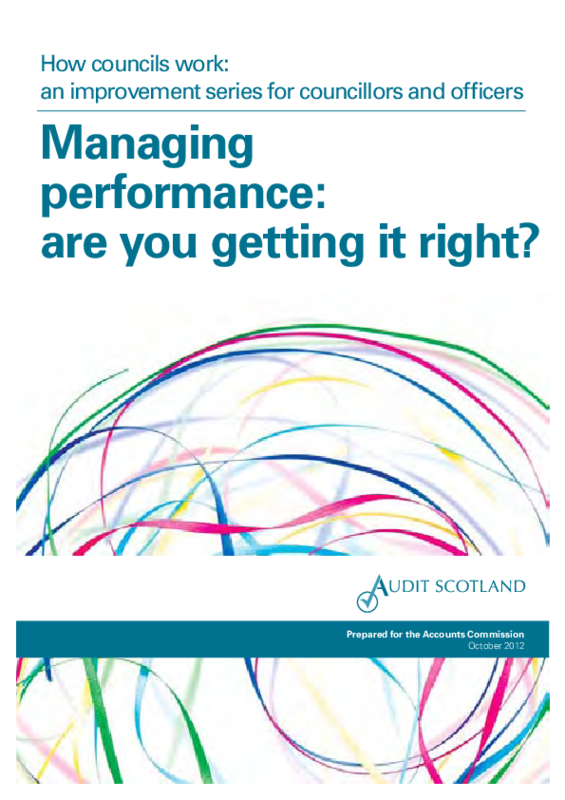 All councils in Scotland can improve how they manage their performance.